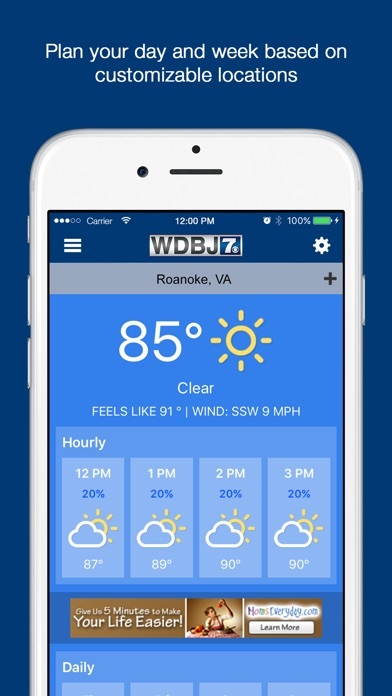 The news and weather experience you've been waiting for is here for Roanoke, Lynchburg, Danville, Blacksburg, Martinsville, Lexington, Christiansburg and more! 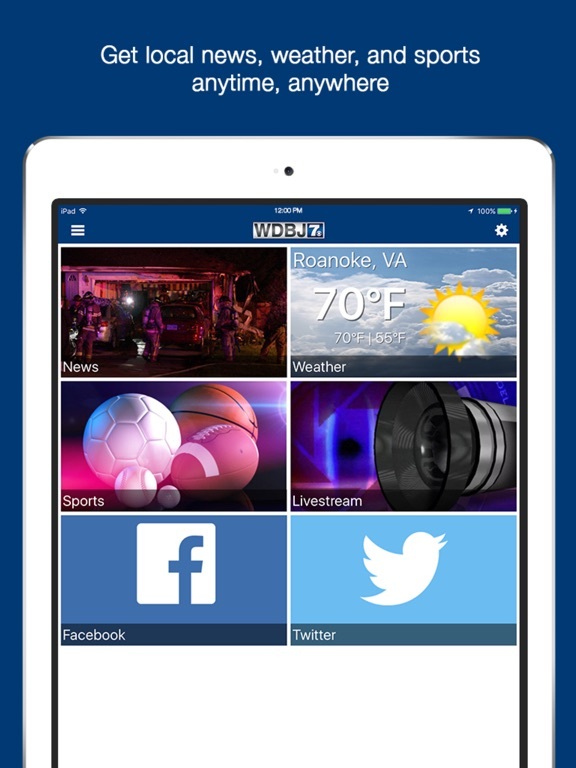 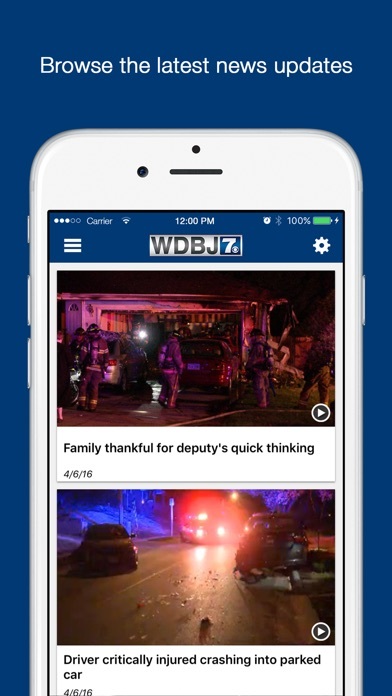 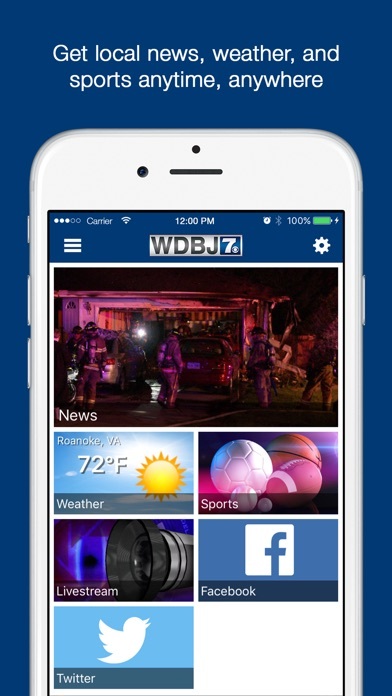 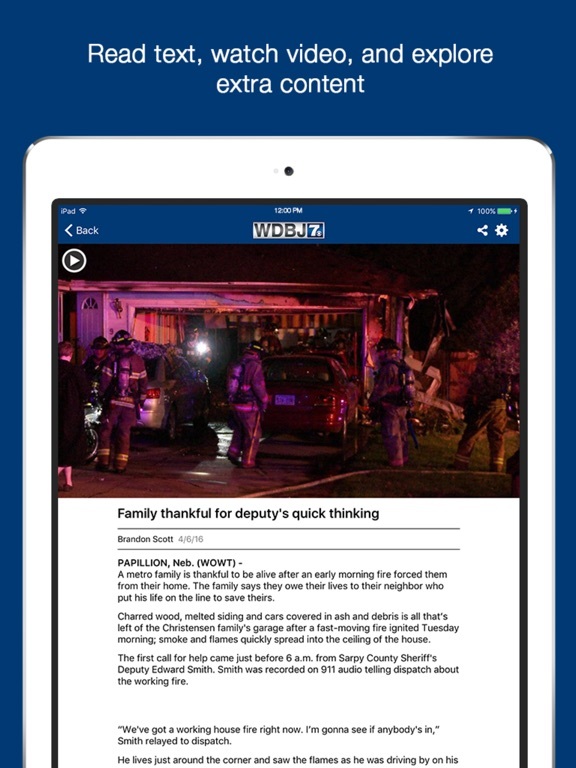 Catch the latest news, sports and weather wherever you go with the WDBJ / WDBJ7 Local News application. 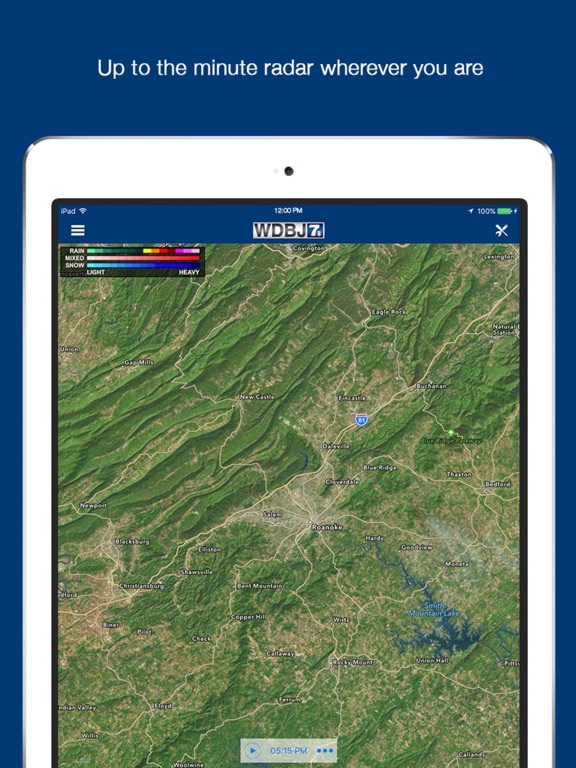 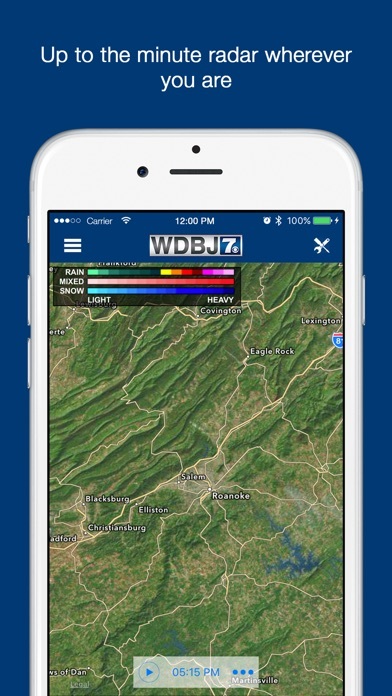 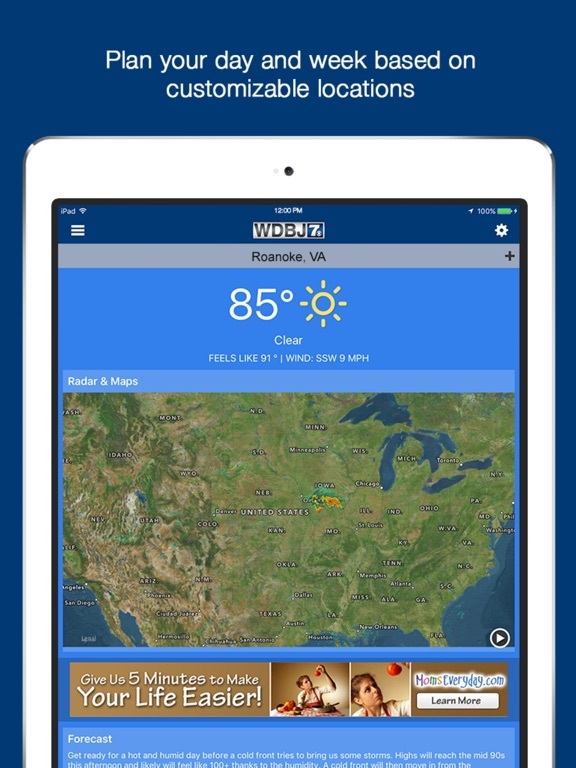 These apps take the best features from WDBJ7 newscasts at www.wdbj7.com and the forecasting power of our First Alert meteorologists and roll them into an experience that is a must on your mobile device. 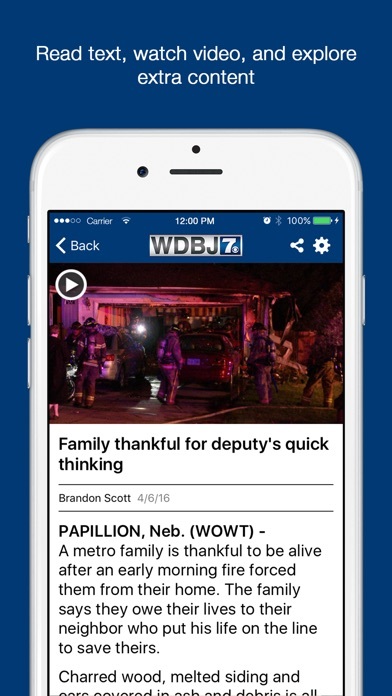 It makes viewing and sharing news and weather easy.